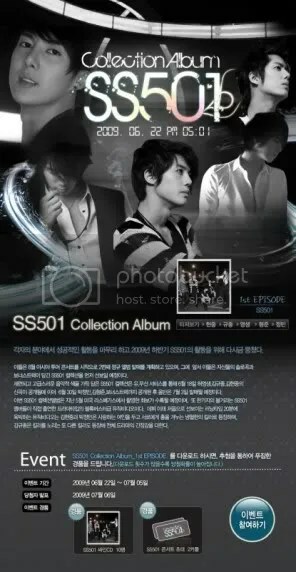 At 5:01 pm of June 22, 2009, the first episode of SS501‘s new 20-minute long drama MV was released. It’s been a while since the boy band has made a new MV TOGETHER. The mv revolves around a revenge/love story with leader Hyun Joong being featured as a vicious assassin (not that he lacks any sexiness when he plays the bad guy). KyuJong and JungMin also act in other roles as killers/love interests. Apparently Hyun Joong shot this scene after three sleepless nights. Poor guy needs to get some rest! The three assassins and the love interest. 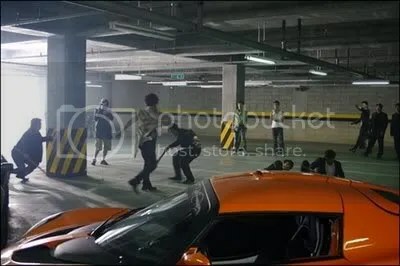 As the devoted fans can see for themselves, the mv looks cool enough with hot guys driving around in fabulous sports cars and pulling guns at each other. But I got to say, some parts of the editing are pretty rough, not that it will stop me from looking forward to the 2nd episode, which will be released on June 29th.